Matthew 4:19 – Come Follow Me! The following is taken from a student’s notes on our classroom discussion on Matthew 4:19. Remember, these are just notes, a lot more was shared in class, but maybe you would want to add to the holes in the classroom discussion, or give additional information that maybe we didn’t even consider by commenting on this post. The students periodically check in on the blog to see the comments. Jesus saw two brothers, Simon (who is called Peter) and Andrew. He saw two more brothers, James and John. Immediately they followed him too. It’s interesting how they immediately followed Jesus. How did they know this guy is legit? Is it possible that the passage doesn’t record everything Jesus said? Did Jesus say more than just “Follow me…”? Gives a little more detail than Matthew does. It suggests that Matthew doesn’t say all there is to know. 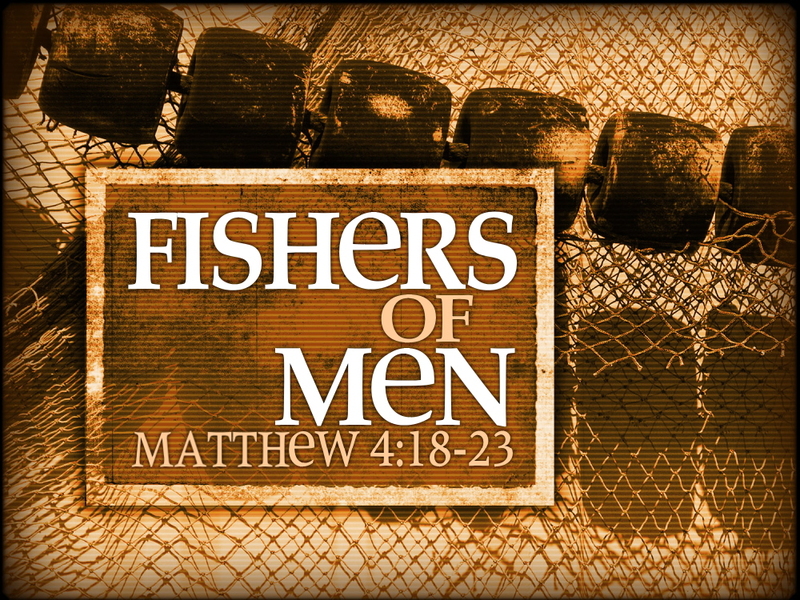 According to Mark, the fishers might’ve known Jesus from his preaching. Gives a much more detailed version; Simon and Peter witnessed an entire sermon from Jesus that he gave from within their boat, and they witnessed a miracle! John the Baptist saw Jesus walking by and recognized him and proclaimed him to be the Lamb of God who takes away the sins of the world. Two of John’s disciples begin to follow him, one of them being Andrew.. Jesus asked what they wanted and they asked where he was staying, Jesus told them to follow him and see and they spent the entire day with Jesus. Then he calls them to follow him after they already recognized that he is the Messiah.